If you have ever lived in the South like I have, you will love The Help by Kathryn Stockett. It is an incredible book. I became interested in the book after reading a review of it and hearing from numerous friends about how good it was. The story takes place in Jackson, Mississippi during the Civil Rights movement. At first, I had a tough time getting into the story because the narrator switches from one chapter to another and I got confused, but I stuck with it and am so very glad I did. The book is over 400 pages long, and once you start reading, it is difficult to put it down. The story is about a young white woman in her early twenties who aspires to be a writer. Witnessing the wide gap between white employers and their African-American maids, she convinces the maids to tell personal stories of what it is like to work as a maid and nanny for a book she would like to write. Some of the chapters are written in the voice of the maids and others in the voice of the white writer. Considering the times, all of the women are taking a great risk in telling their stories as the discovery of the book project could mean not only the loss of their jobs, but the loss of their lives as well. Many times, I was shocked by the racial divide when I lived in the South in the late ’70’s and early 80’s. A girl who worked for me in New Orleans came from a privileged white family in Jackson, Mississippi and oozed Southern charm and etiquette. It was so strange to me, a Yankee from a middle class family in Chicago. The author mentions Maison Blanche on Canal Street in New Orleans in the book and I remember shopping there. I also remember my personal disgust for the prevailing attitude of prejudice against African-Americans in the South. It roots are deeply ingrained and the lines clearly drawn between people of different skin colors who inhabit the same pieces of earth. I will never understand it and never condone it. Disney has made the book into a movie and I will be anxious to see it when it comes out. 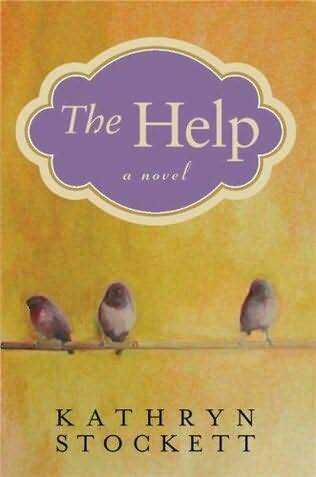 (http://collider.com/the-help-movie-trailer/86182/) I hope it is as good as the book because I loved it. This entry was posted in Uncategorized and tagged Books, Jackson, Kathryn Stockett, maids, Mississippi, race relations, The Help. Bookmark the permalink.